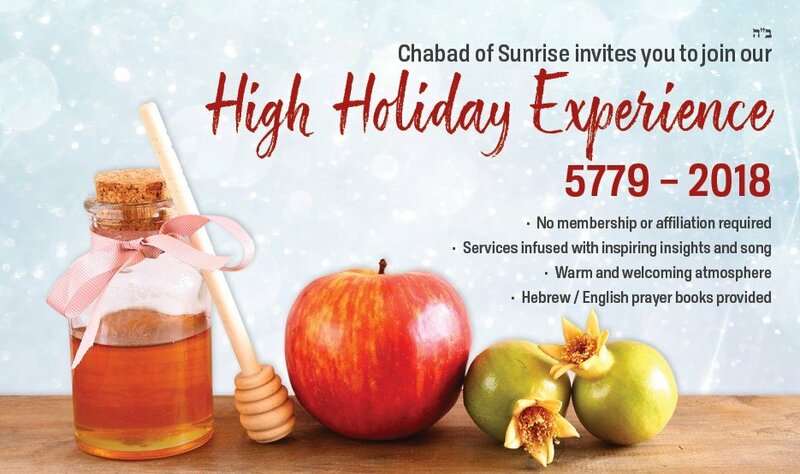 Welcome to the Chabad of Sunrise High Holidays reservation page! Hebrew/English prayer books are used throughout the service. The rabbi provides an English running commentary of explanatory and meaningful insights. The prayers are conducted in the traditional, orthodox custom. Please note: While there is a small fee for High Holiday services to help us cover the expenses, every Jew is welcome and no one will be turned away, regardless of ability to pay. 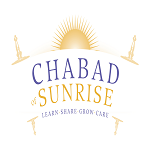 If you would like to inquire about a scholarship, please call 754-600-9579, or email: rabbi@jewishsunrise.org. Of course, everything will be kept discreet. While there is a small fee for High Holiday services, there are still many expenses that we incur to make services, kiddush and break-fast available to you. We would also like to provide as many scholarships as possible . 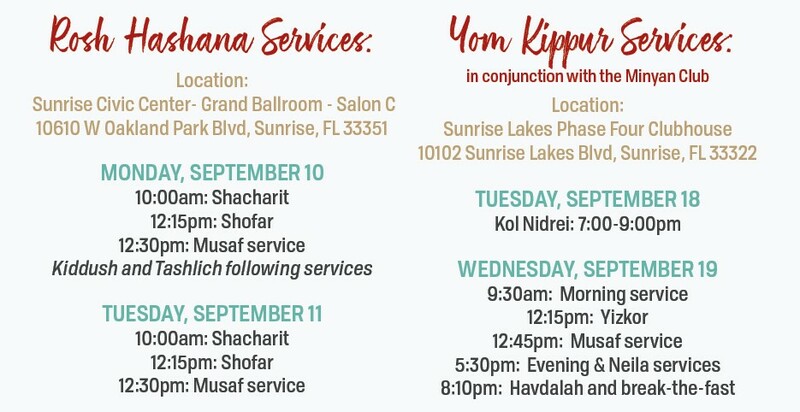 Please consider making a donation to s ponsor others to be able to attend (everything will be kept discreet) , and to help cover the costs of these and other wonderful and vital programs that Chabad of Sunrise brings to our community throughout the year.